Architectural treasures which might be unexpected! 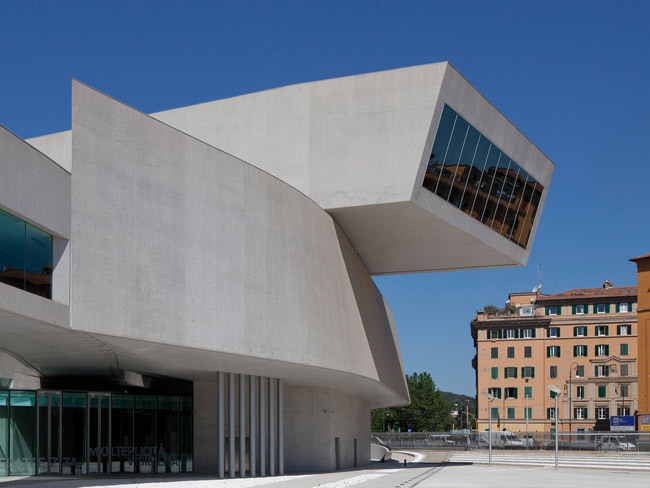 Not only antiquities in Rome: among the highlights of the modern architecture the EUR district, with its rationalist buildings, the Auditorium by Renzo Piano and the masterpieces of the National Gallery of Modern Art. The role of the modern architecture and art in the city of Rome is too often overshadowed by the masterpieces of the past, but the visitor should not miss a surprising encounter with the outstanding presences of the modern and contemporary art. 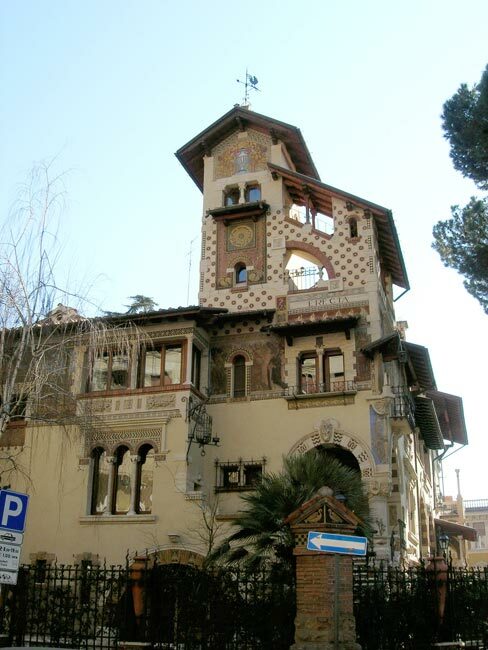 The tour starts with the E.U.R., the quarter wanted by Mussolini as a center of the Exhibition of 1942, where the visitor can appreciate some of the best examples of the European rationalist architecture. 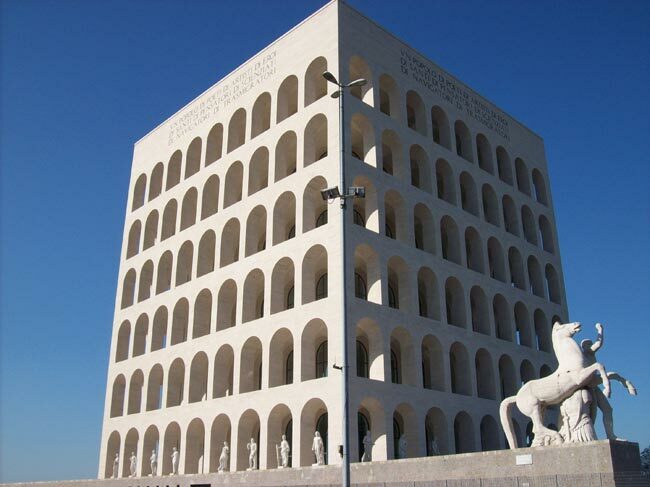 Then we drive along the Via Cristoforo Colombo towards the center of the city where, by the Tiber, we see the new Ara Pacis Museum, designed by the American architect Richard Meier. Then we arrive at the Foro Italico complex, which includes the Olympic Stadium. 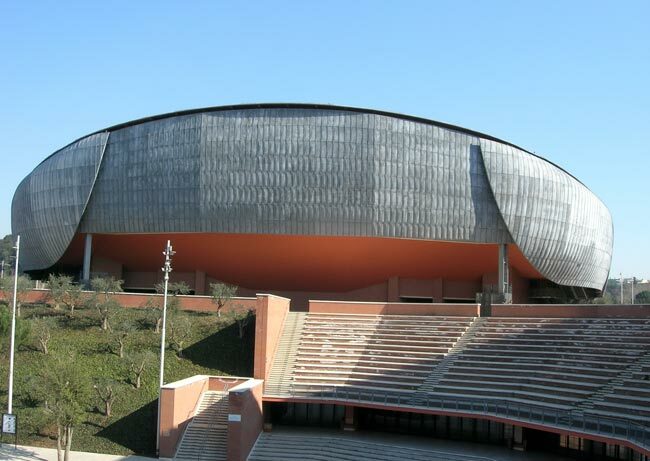 Nearby, beyond the giant bridge Flaminio, next to the area occupied by the Olympic Village, Renzo Piano has built a large complex of the Auditorium, which opened in 2002 with three concert halls (the main one is the largest in Europe). Tickets: Ara Pacis € 11. National Gallery € 12.